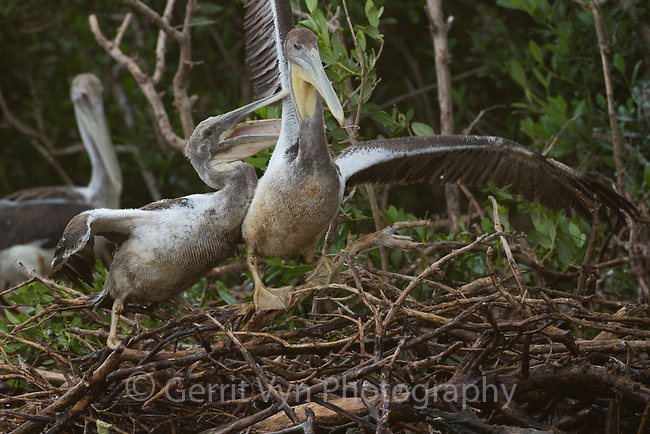 Oiled juvenile Brown Pelicans (pelecanus occidentalis) in their nest at waters edge. Nests like these were heavily oiled by the BP oil spill in Barataria Bay. Plaquemines Parish, Louisiana. July 2010.